No Wires Media is your premier CenturyLink authorized agent for Medford Oregon and surrounding areas. We are dedicated to providing the absolute best CenturyLink phone and internet products and services at the absolute lowest prices. CenturyLink provides several low-priced phone packages with a variety of features; you only need to take your pick! Basic CenturyLink voice bundles come with a variety of benefits and features including a local phone line, clear voice reception, no delayed or dropped calls and seven popular calling features. For those who want a little more from their calling plan, CenturyLink phone service has unlimited local and long distance options. 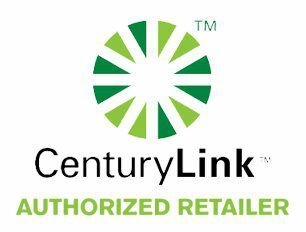 Regardless of your budget, CenturyLink has something or you! Make the switch now! Century Link phone plans are flexible and affordable so that you can rest assured that you’re getting the service you deserve. CenturyLink voice works without interruption, no dropped or delayed calls and dependability even during power outages. Unlike cable providers, local phone service from CenturyLink is reliable, affordable and crystal clear. Excellent phone service isn’t the only thing that CenturyLink takes pride in. CenturyLink also offers great high-speed Internet and DIRECTV** satellite television. When you bundle your CenturyLink Voice service with these other fabulous CenturyLink offers, you save even more! Start saving today and enjoy the value of CenturyLink. Oh The Possibilities With CenturyLink High-Speed Internet! CenturyLink High-Speed Internet isn’t cable, so you don’t share the connection. With CenturyLink High-Speed Internet you get your own, direct connection to CenturyLink’s fiber-optic network. It’s 100% private, 100% of the time. And with plans starting at 768Kbps, you can share more photos, download more music and send more files, faster than you thought possible! Get A Little Bit Faster, Now! If your Internet is slow, downloading and streaming video clips can be more of a hassle than entertainment. That’s why CenturyLink High-Speed Internet plans have three speeds. Instead of wasting your time watching a video load, get CenturyLink High-Speed Internet so that you can enjoy more clips quicker! Say goodbye to buffering! Internet that’s up to 10.0 Mbps fast. CenturyLink Internet service is ideal for downloading and streaming full-length movies at what seems like warp speeds compared to other Internet providers! Get that popcorn popping, with Internet from CenturyLink, it won’t be long until the show starts! Because it’s so fast, it also means an enhanced gaming experience for all of those that can’t get enough online. Oh, the possibilities!